Why do bloggers need to prepare for US Daylight Savings Time that changed today! Official Time changed across New York to San Francisco, and bloggers need to be aware and modify the time they send out their blog articles … the clock rolls back an hour for daylight savings at 2 a.m. So what is Daylight Savings time? Daylight Saving Time (or summertime) helps get more light out of the day by advancing clocks by one hour during the summer. Well the Daylight saving time in most of the United States ends at 2 a.m., local time, on Sunday, November 1 (every year on first Sunday in November). 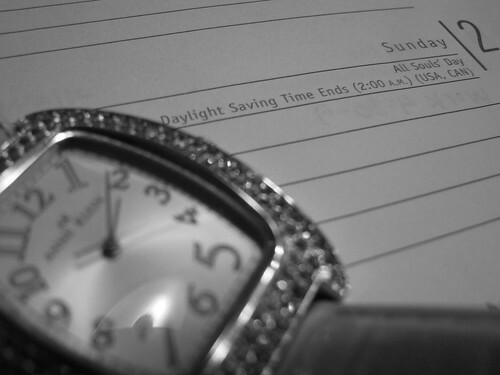 How does DST affect bloggers? US web traffic accounts for a major source of traffic and readership for many blogs. I know several top Indian and international bloggers publish their articles (or future post it) accurately on time in early US morning to get on top of the RSS readers of US readers, which will drive more attention and better article response. Now they need to account for the Daylight Saving Time, and if majority of their readers are starting the day early, they might need to press the publish button an hour earlier!